It will be Hsieh vs. Kvitova and Svitolina vs. Bencic in the 2019 Dubai women's semi-finals. Day 5 Action: Elina Svitolina defeated Carla Suarez Navarro of Spain to reach her third consecutive semi-final at the Dubai Duty Free Tennis Championships. Su-Wei Hsieh claimed a stunning comeback against fourth seed Karolina Pliskova to win 6-4 1-6 7-5 and reach the semi-finals of the Dubai Duty Free Tennis Championships on Thursday. Her victory came a day after she had beaten fifth seed Angelique Kerber and earned her a meeting with Petra Kvitova, who defeated Viktoria Kuzmova 6-4 6-0. And in another upset, Belinda Bencic overcame world No. 2 Simona Halep 4-6 6-4 6-2 to set up a clash with defending champion Elina Svitolina, who defeated Carla Suarez Navarro 6-2 6-3. Pliskova had recovered well from losing the opening set by surrendering the last 11 points, easily winning the second set and then speeding to a 5-1 lead in the third. But she was unable to close out the match. Hsieh’s aim had been to make the score look more respectable, and she clearly exceeded her expectations. Pliskova admitted she was tired, but also that she had relaxed too much and thought the job was over.
.@BelindaBencic scores the upset over Halep, 4-6, 6-4, 6-2! Halep has played a heavy schedule, competing at Fed Cup and then reaching the Doha final in the last two weeks. Her match against Bencic was one match too many. Bencic had edged through a dramatic match late the previous evening, saving six match points before beating Aryna Sabalenka. But, rather than feeling drained by that battle, she was inspired. Svitolina is now just two matches away from a record-breaking third consecutive victory, but is taking it one match at a time. So far, so good. 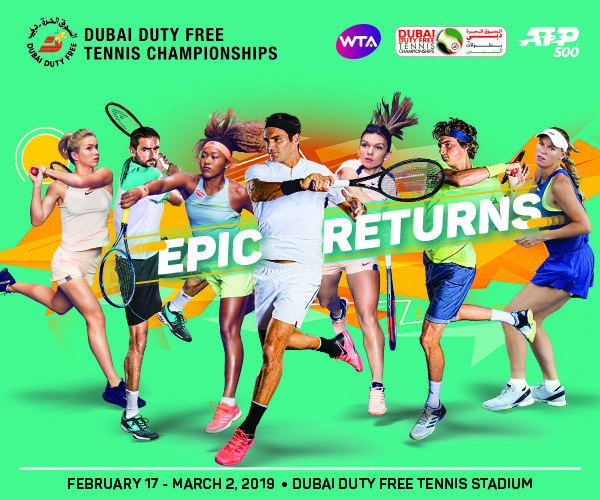 The WTA event continues until 23rd February, and will be followed from 25th February by an equally thrilling men’s event headed by seven-time champion Roger Federer, Australian Open semi-finalist Stefanos Tsitsipas, defending champion and recent Doha winner Roberto Bautista Agut, former US Open winner Marin Cilic, Japanese No. 1 Kei Nishikori and two-time finalist Tomas Berdych.